CMS offers one of the most highly regarded educational programs in San Diego. Our continuing commitment to the academic, emotional, spiritual, and social growth of each child in the true Montessori spirit remains our top priority. Parents, the CMS Board, and staff form a partnership to support the positive growth and development of our children. The CMS community, characterized by positive and respectful communication, a commitment to parent education, and parent participation is critical to the success and longevity of our school. Next year, CMS will be in its 28th year, a milestone few schools, let alone small businesses achieve. Re-enrollment for CMS currently enrolled families for school year 2016-2017 will open on Monday, February 29th. This year we will be using Renweb for re-enrollment. You will access this through your Parent Portal. You will be able to update any information held by the school and access forms that you may need to update. You will receive an email from RenWeb with the instructions on re-enrollment. Your re-enrollment will be complete when you have submitted your check for one month’s tuition and registration to the school office. Tuition fees are based on budgeted operating expenses. The deadline for re-enrollment is March 18th. After that, enrollment will be opened to new siblings of current families and families on our wait list. All new applications should be made through our website https://www.countrymontessori.org/admission/. If you have any questions on admissions and enrollment, please contact Sheila Walker at sheilaw@countrymontessori.org or 858-673-1756 x 107. Please let Sheila know if you are not re-enrolling for 2016-2017. 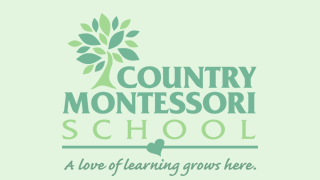 Thank you for your continued support and partnership that enables Country Montessori School to provide an environment that is child-focused, challenging and supportive, and a Montessori program guided by an outstanding staff of dedicated and loving educators.